Envirotrol Pest Management Systems offers Rodent Defense Programs that have proven to be incredibly successful in controlling mice and rats. We manage rodents though exterior and interior programs. 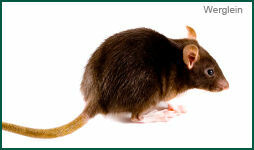 E-System’srodent program utilizes baiting for the rodent on the exterior of buildings. Our monthly inspections ensure that there is always fresh bait and that the rodent population stays under control. 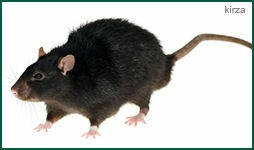 If rodents ever cause a problem indoors, we offer interior and attic baitings. Our technicians will thoroughly inspect each unit for rodent entry points and will point them out to you, so those can be sealed off as quickly as possible. E-Systems also offers a full property perimeter power spray and granular treatment. This treatment helps repels mice & rats away from the property and can last up to 2 months!! This combined with the standard interior and exterior programs covers problem rodents from all directions! The Norway Rat (also referred to as Brown Rat, Sewer Rat, Hanover Rat, or Wharf Rat) is one of the most well known and most common rats. It is a brown or grey rodent with a body up to 25 cm (10 in) long, and a similar tail length. Thought to have originated in northern China, this rodent has now spread to all continents except Antarctica, and is the dominant rat in Europe and much of North America—making it by at least this particular definition the most successful mammal on the planet after humans. With rare exceptions, the brown rat lives wherever humans live, particularly in urban areas. The Norway Rat is nocturnal and is a good swimmer, both on the surface and underwater, and has been observed climbing slim round metal poles several feet in order to reach garden bird feeders. Brown rats dig well, and often excavate extensive burrow systems. Norway Rats can breed throughout the year if conditions are suitable, with a female producing up to five litters a year. The gestation period is only 21 days, and litters can number up to 14, although seven is common. They reach sexual maturity in about five weeks. The maximum life span is three years, although most barely manage one. A yearly mortality rate of 95% is estimated, with predators and interspecies conflict as major causes. Brown rats live in large, hierarchical groups, either in burrows or subsurface places, such as sewers and cellars. When food is in short supply, the rats lower in social order are the first to die. If a large fraction of a rat population is exterminated, the remaining rats will increase their reproductive rate, and quickly restore the old population level. 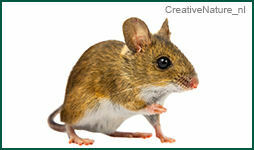 ID: Mice and voles are relatives to rats, squirrels, and other rodents. They make up the majority of the Rodent order and are the most populous as well. There are many varying species of mice and voles throughout Texas, but all easily recognized by certain attributes, differing from rats. Mice and voles are much smaller in size to rats and their tails are also usually thinner as well. A vole is a small rodent; a relative of the mouse, with a stouter body, a shorter, hairy tail, a slightly rounder head, smaller ears and eyes. They are sometimes known as field mice in North America. Mice and Voles are small rodents that grow to 3–9 in (7.6–22.9 cm), depending on the species. They can have five to 10 litters per year. Gestation lasts for three weeks and the young voles reach sexual maturity in a month. As a result of this biological exponential growth, vole populations can grow very large within a very short time. Since litters average five to 10 young, a mating pair can birth a hundred more voles in a year. The Kangaroo Rat is a newcomer to the DFW and Houston regions due to the warmer climate, reigning from West Texas. Kangaroo rats are four-toed heteromyid rodents with big hind legs, small front legs and relatively large heads. The tails of kangaroo rats are longer than both their bodies and their heads. 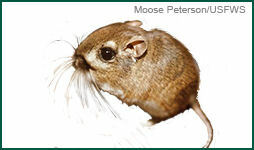 Another notable feature of kangaroo rats are their fur-lined cheek pouches, which are used for storing food. The coloration of kangaroo rats varies from cinnamon buff to dark gray, depending on the species. Sexual dimorphism exists in all species, with males being larger than females. Kangaroo rats live in arid and semi-arid areas particularly on sandy or soft soils which are suitable for burrowing. They can, however, vary in both geographic range and habitat. Kangaroo rats are primarily seed eaters. They will, however, sometimes eat vegetation at some times of the year and some insects as well. This caching behavior affects the range-land and croplands where the animals live. Kangaroo rats must harvest as much seed as possible in as little time as possible. To conserve energy and water, they minimize their time away from their cool, dry burrows. In addition, maximizing time in their burrows minimizes their exposure to predators. Kangaroo rats are generally solitary animals with little social organization. Kangaroo rats communicate during competitive interactions and courtship. They do cluster together in some feeding situations. There appears to be a dominance hierarchy among male kangaroo rats in competition for access to females. This is likely in part because the home ranges of females overlap less than the ranges of males. Winners of aggressive encounters appear to be the most active individuals. ID: The Roof Rat is a common long-tailed rodent of Texas. Through the use of tracking devices such as radio transmitters, these rats have been found to occupy dens located in trees, as well as on the ground. While the Norway rat prefers to nest near the ground of a building, the Roof Rat typically prefers the upper floors and roof. Roof Rats have great flexibility in their foraging behavior. They tend to forage after sunset. If the food cannot be eaten quickly, they will search for a place to carry and hoard to eat at a later time. There can be many reasons why rodents are invading your property. 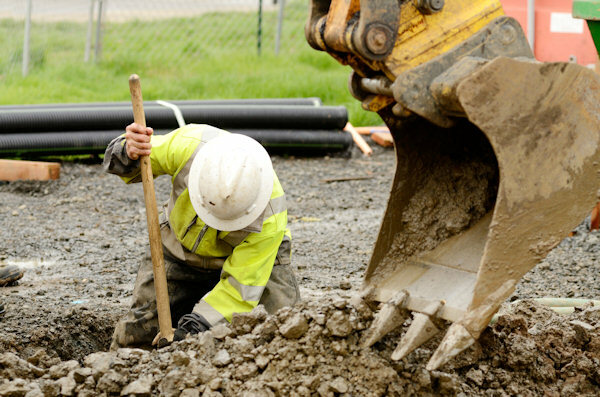 One of the most common reasons is nearby construction which disturbs and destroys burrowed rodents’ homes. Not only do human structures provide shelter and protection from predators, they also provide warmth, water, and sometimes even food. If you have rodents in your property consider these options. Limit food sources by cleaning loose food and crumbs from the inside of your property, sealing pet food and cereal boxes, removing grease from around cooking areas, and by keeping your trash covered. Since outdoor trash receptacles can also be a haven for rodents, be sure they are always closed and at least 100 feet away from your property. The best way to prevent rodent problems is by keeping them out in the first place. Seal all holes around the exterior of your property, especially electrical and plumbing entering the building. Keep trees, bushes, and other shrubbery from touching your property and seal all gaps in the roof. Rodents can climb vertical on pipes and textures walls, so even holes and vents on walls can be a possible entry point. Envirotrols’ Rodent Defense Programs can also address these issues for you. Inquire about E-Systems’ Rodent Exclusion Services. .
Squirrels, Raccoons, Possums, or other rodent-like animals? Call us or see our Trapping Service.